The next Oak Ridge City Blueprint Open House is Thursday. City residents and property owners are invited to participate in envisioning the future of the City Center Subarea, a press release said. The open house is hosted by the Oak Ridge Community Development Department and Oak Ridge Municipal Planning Commission. It is scheduled from 5:30 to 7 p.m. on Thursday, August 23, at the Oak Ridge Civic Center. A brief presentation during the meeting is scheduled for 6:30 p.m. The City Center Subarea involves a triangular area defined by three major street corridors: Oak Ridge Turnpike, South Illinois Avenue, and Rutgers Avenue, the press release said. The purpose of the City Blueprint project, which kicked off in January 2017, is to capture the community’s vision for the city’s future, reflected upon current conditions, needs, and opportunities for improvement over five-15 years and beyond, the press release said. The City Center Subarea is the last of 26 subareas to be studied and incorporated into the overall Blueprint. Residents can view subarea plans, maps, and comments using the City Blueprint online resource page and submit feedback via email. In the fall of 2018, the entire plan will be open to the community for review and feedback, then presented to city leaders for adoption, the press release said. Broad feedback and input from the community will ensure that the City Blueprint is a valid, supported guide for development and will lead to successful outcomes for the community, the press release said. 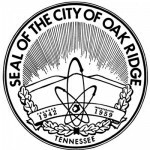 For more information on the Oak Ridge City Blueprint effort, contact the Community Development Department at (865) 425-3531.